6800 & 6900 Series Aluminum Doors » Yellow Dog Windows, Inc. Yellow Dog Windows, Inc. The 6800 Series Aluminum Patio Doors are an affordable product for the budget-conscious. The Economy Aluminum Patio Door meets minimum industry requirements and bypasses all the bells and whistles. 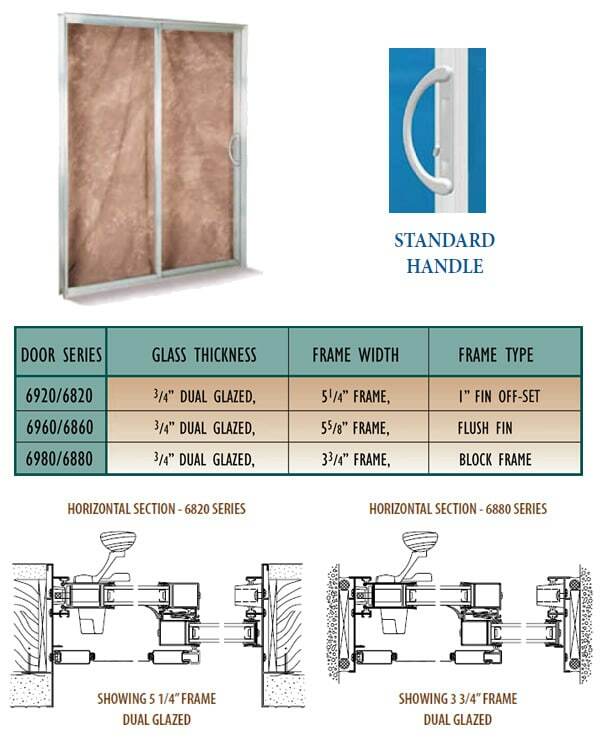 This inside slide door combines a slim design with a heavy-duty aluminum extrusion, resulting in a strong, rigid patio door that meets minimum security requirements. The 6900 SERIES also features a NightLock, which enables the door to maintain a secure, locked position while allowing 2” of ventilation. 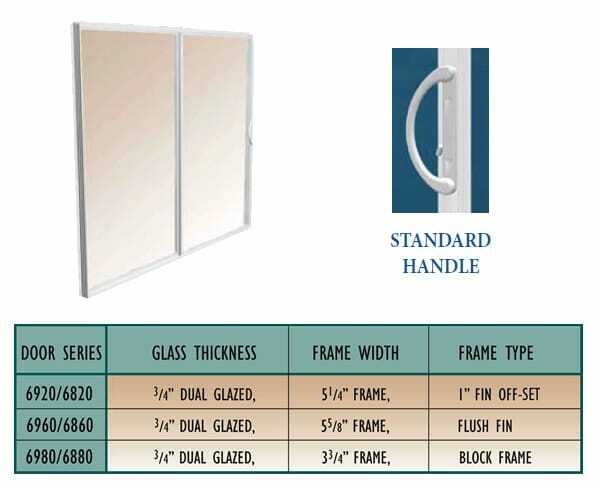 Choose between single and dual glazed configurations as well as a variety of patterns. Available in nail-on frame and retrofit configurations.